Does Howard Megdal have your vote of confidence? | Pick Me Up Some Mets! Does Howard Megdal have your vote of confidence? Meet Howard! He’s running for Mets General Manager! 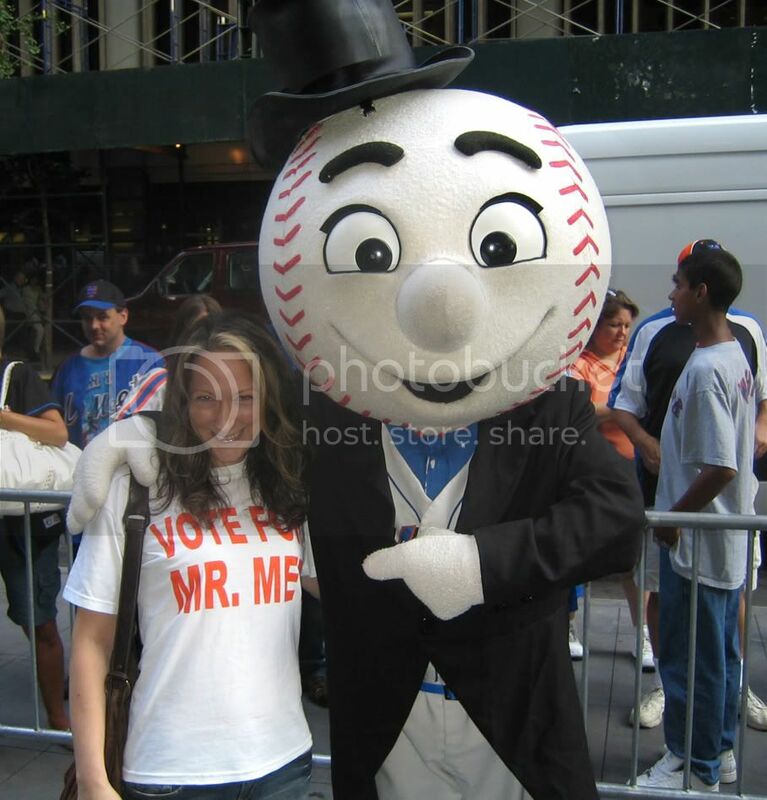 Make sure to peruse his website, MegdalforGM.com, and take a gander at Pick Me Up Some Mets’s exclusive Q & A interview below. I’ve spent time with Howard, and I can attest that he’s dedicated to channeling his immense passion for our team–along with his significant baseball smarts–into a future position as the first fans’ GM of the New York Mets. Howard needs your vote! But more importantly, Howard cares about your vote. Q: Why run for a position that’s not open to election? A: A better question: when we spend three hours a day, 162 times a year in a single pursuit- rooting for the Mets- not to mention the hours we read about them, talk about them, agonize over them- why shouldn’t we try to take control of the franchise that holds sway over our emotions? Q: Other than being a lifelong fan, what are your qualifications to be GM of the NY Mets? simple pillars: LOGIC, TRANSPARENCY and PASSION. Q: What’s the next step, after the primaries–what will you be doing with your results? 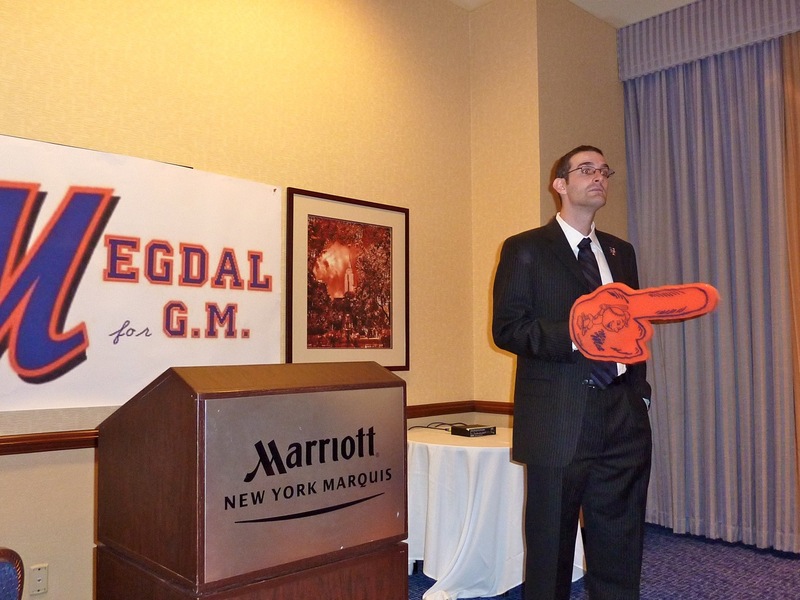 A: If I am fortunate enough to receive a mandate from the Mets fans- and in seven primaries, I have been the winner of that mandate, in often-overwhelming fashion- I will give an acceptance speech, and invite the fans who put me in such a fortunate position to help take the next step- securing a job interview for the position of General Manager. Q: Tell me something concrete and not “politiciany” about what you’d change on the current team or hope to add to a future Mets team? A: There’s so much to choose from, but simply put: the Mets would not sign players to expensive, long-term contracts who weren’t in their prime years. Signing Jason Bay last year means the Mets don’t have a place to sign Carl Crawford this offseason. And the difference in skill level, age and fit on this team could scarcely be greater. Q: How important is it to consider the ballpark when putting together a team? A: Only to a certain extent. Remember: the Rockies were supposed to be unable to develop pitchers, since they’d all get destroyed at Coors Field. Conventional Wisdom, meet Ubaldo Jimenez. There isn’t a single star player I can think of who would somehow be disqualified by Citi Field. And I love this ballpark, right down to the pitchers’ advantage- which is far smaller than advertised, incidentally. Q: How far are you willing to go to realize your dream of being the Mets GM? A: Well, I’m taking the time to vigorously campaign for the job, and will do everything in my power to secure an audience with the Wilpons to press my case. Ultimately, what I wish for this team is the kind of management that allows me to go with my wife and daughter, with my parents, with my friends to Citi Field and not feel frustration over what can be easily fixed. I don’t believe the Mets can win every year- I do believe much more can be done to make victory likelier, and for the fans to feel like honored guests when they come through the turnstiles. So I’ll never stop campaigning for those basic principles. Thanks to Howard, and I’m sure he’ll agree with me when I say Let’s Go Mets! Home field advantage: Roar of the fans or heads of the players?